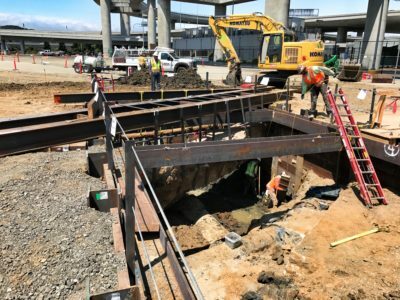 Recent studies of San Francisco’s International Airport led to a redesign of certain runways in order to improve overall operating efficiency. 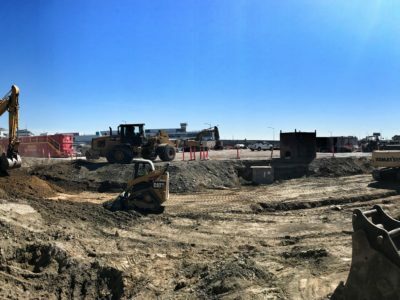 The runways selected for improvement needed to be realigned, a difficult task in itself because of working on the AOA-side of an active airport, but the realignment was further complicated by the need to relocate existing utilities into the right-of-way of a public roadway running around the airport’s perimeter. 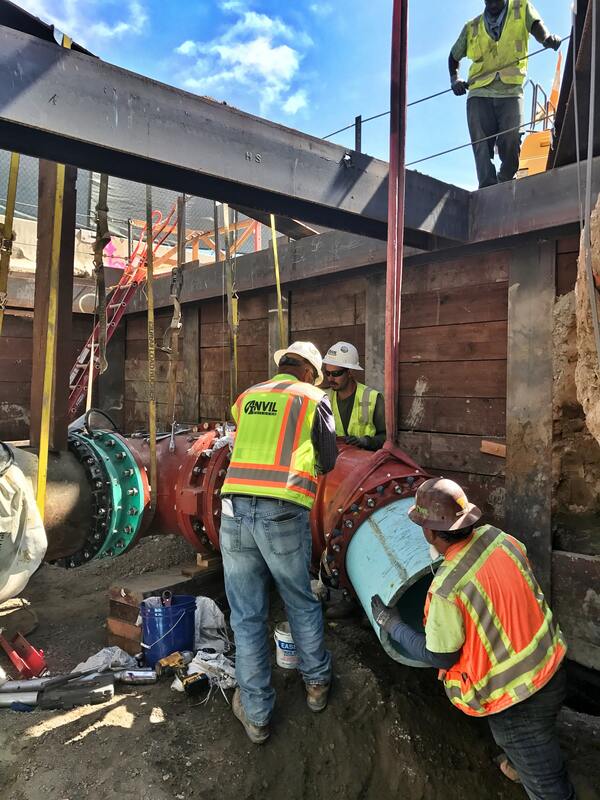 Anvil Builders was contracted by Webcor to take on the difficult task of relocating all wet utilities in South McDonnell Road. This included 3,500 LF of PVC force main; 1,300 LF of 24” PVC potable water lines; and 1,400 LF of 6” steel gas main. 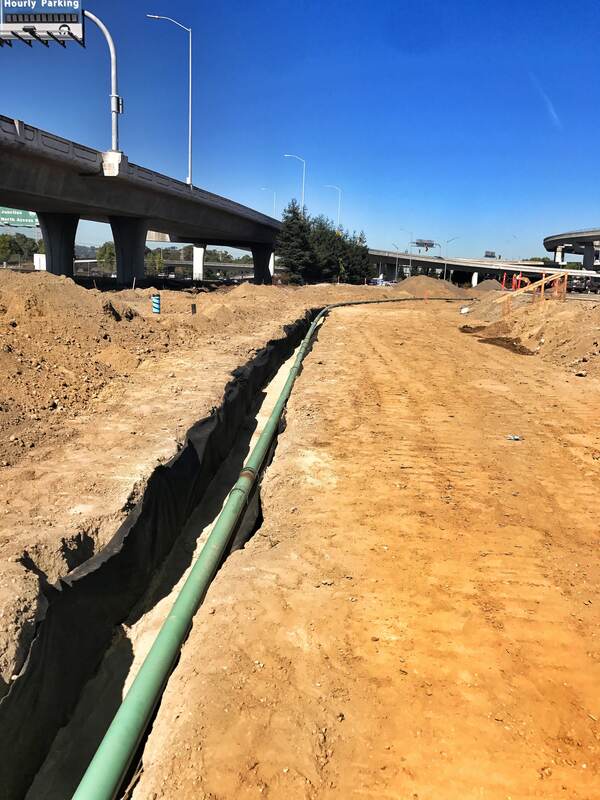 Deep excavations were required at each intersection where the new utilities had to be run beneath existing lines. 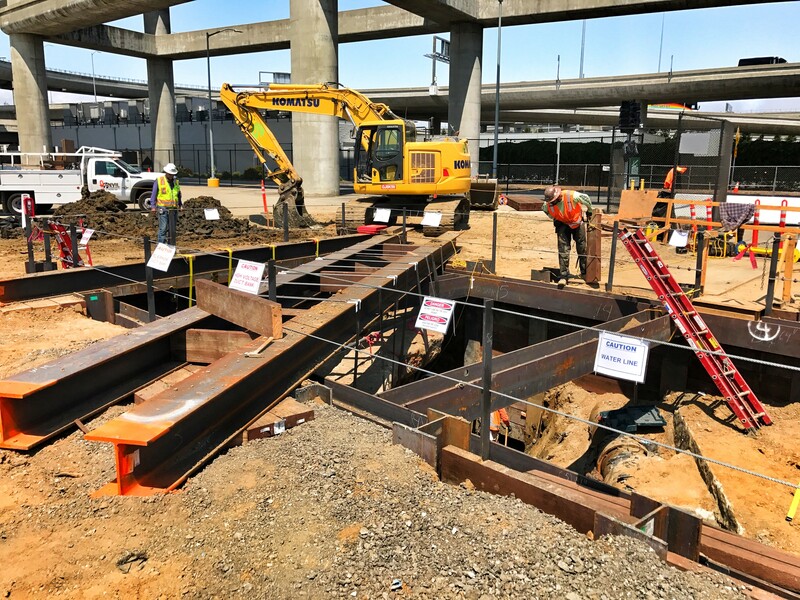 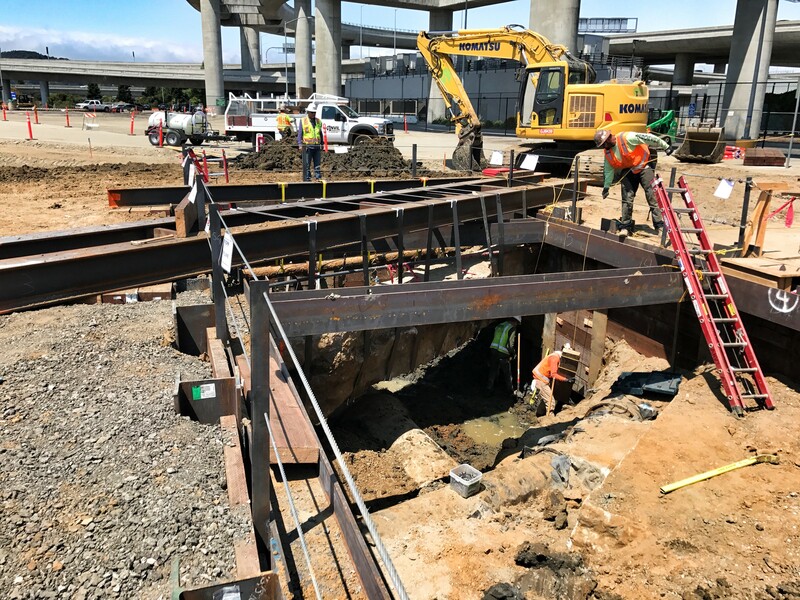 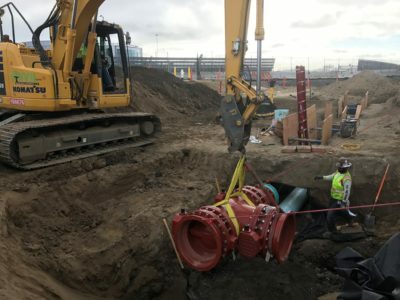 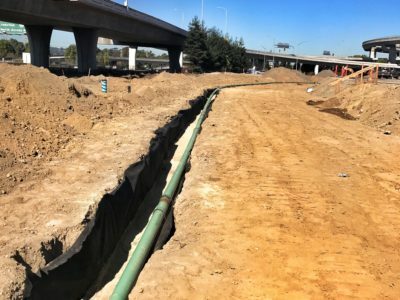 This required the use of a 15’x 45’x 15’ site-specific shored excavation that created an extremely tight work zone between the rerouted vehicular traffic on one side and the active runway on the other. Anvil also had to overcome a number of operational challenges during the course of construction. 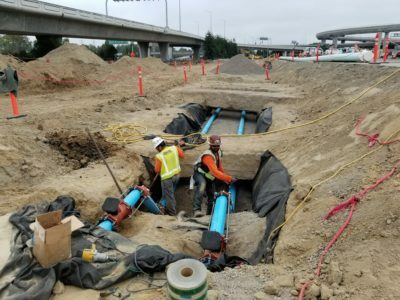 Differing site conditions and design changes both required numerous realignments to the utility corridor, with each change threatening to extend the project duration and potentially impact the commuting public. 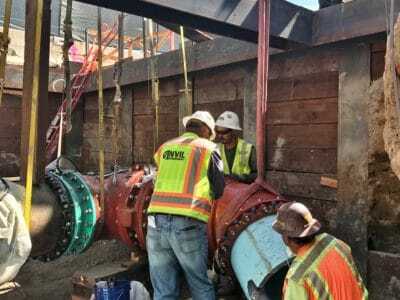 Finally, the way the work was interrelated with other contractors and agencies required careful coordination and scheduling during all phases of the work.